From the mind of Wes Craven, Freddy’s origin and appearance are re-imagined. This Freddy Krueger is the best one in this scale. Freddy looks more evil and sinister than other versions. 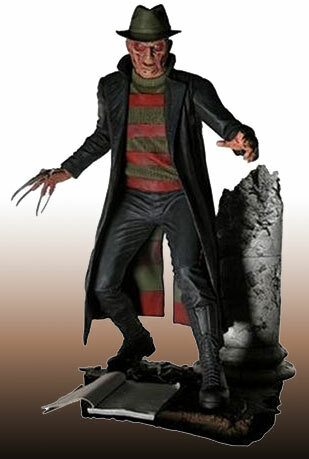 The Nightmare Freddy Krueger features alternate head, hat, movie script, and base. Two separate cases of unusual-looking lights over Milwaukee, Wisconsin and Osaka, Japan were captured on video. The first event was videotaped and posted to Facebook by a Wisconsin police officer near Milwaukee on July 25.